Conduct background screenings within SmartRecruiters thanks to integration by Verified First. 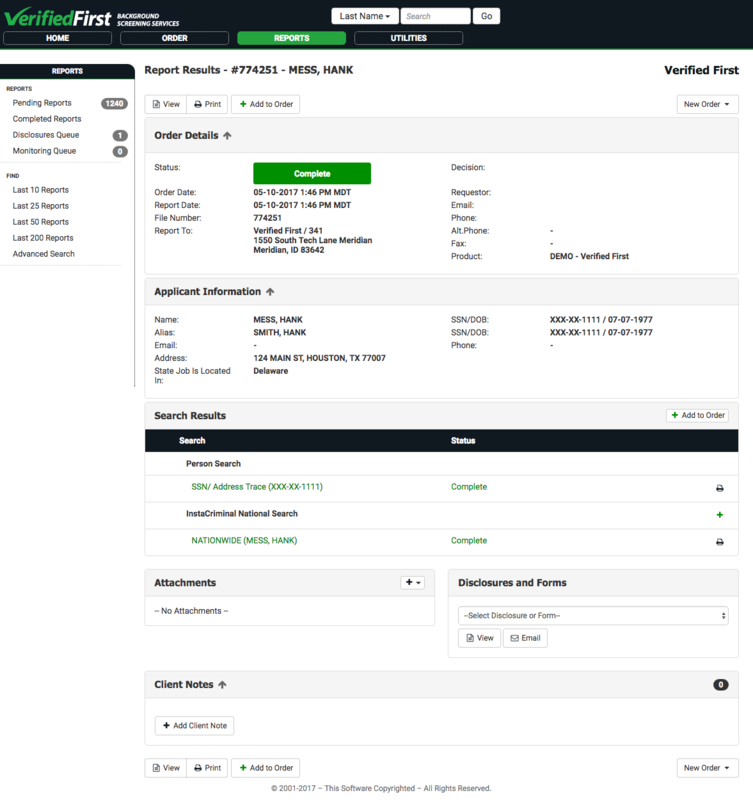 You’ll find our browser-based tool improves your workflow so you can perform background checks on candidates quickly and easily. We recognize that employers need much more than raw data to implement and maintain an effective employee screening program. That’s why we’ve established one of the finest customer service departments in the industry. Our service and technical experts will help you develop a program suited to the specific needs of your business, and then provide the support you need to adapt to your changing needs moving forward. In-house compliance: our compliance is not outsourced. Negative results are reviewed and confirmed by our researchers. Cutting-Edge Technology: Our patent-pending browser-based tool and user-friendly online portal make screening simple. Less data entry, faster approval process! Verified First’s integration auto-populates required form fields. 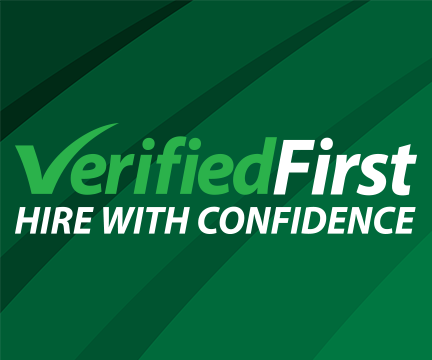 Verified First client care team is U.S.-based and has a 97% satisfaction rating and an average 14-second phone hold time. 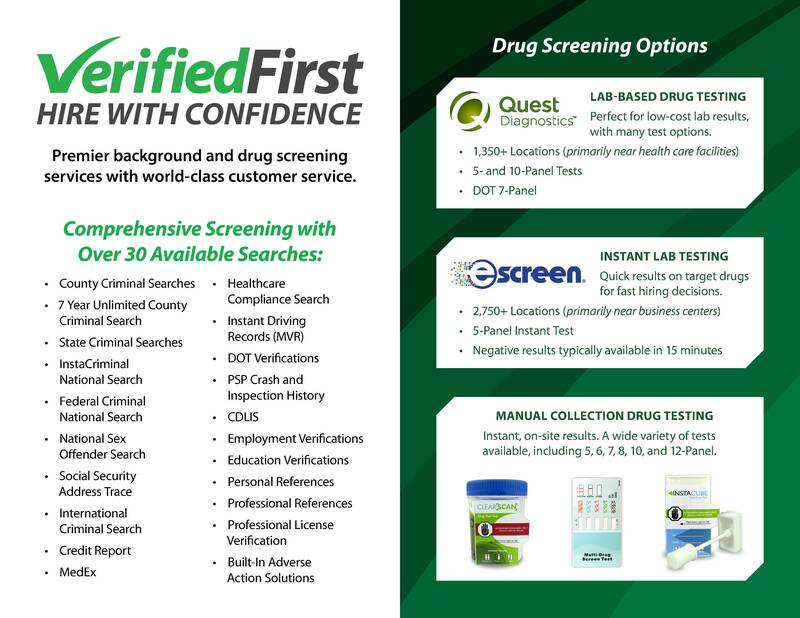 100% FCRA-compliant Consumer Reporting Agency.Verified First supply the necessary forms and releases required by governmental agencies to help you maintain compliance. Want to learn more? 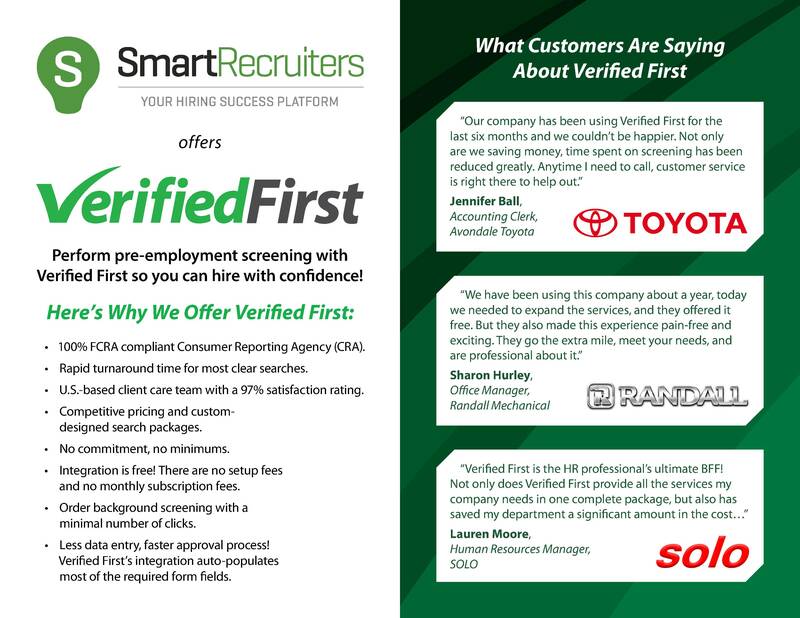 Get Started today and you will be contacted by the Verified First & SmartRecruiters Marketplace team shortly.